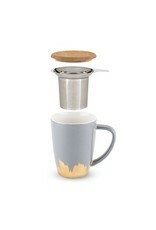 Infuser meets mug! 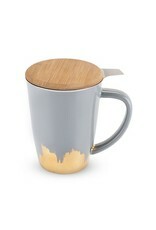 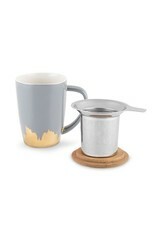 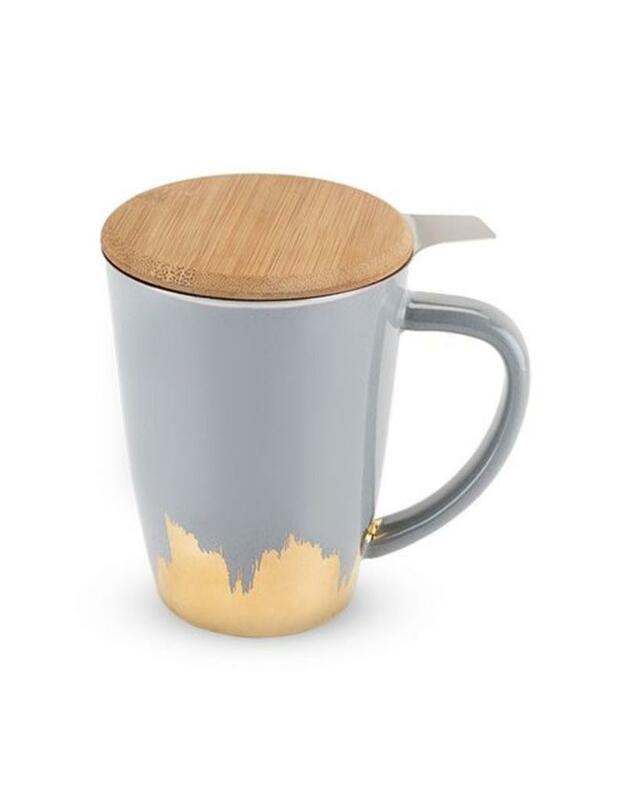 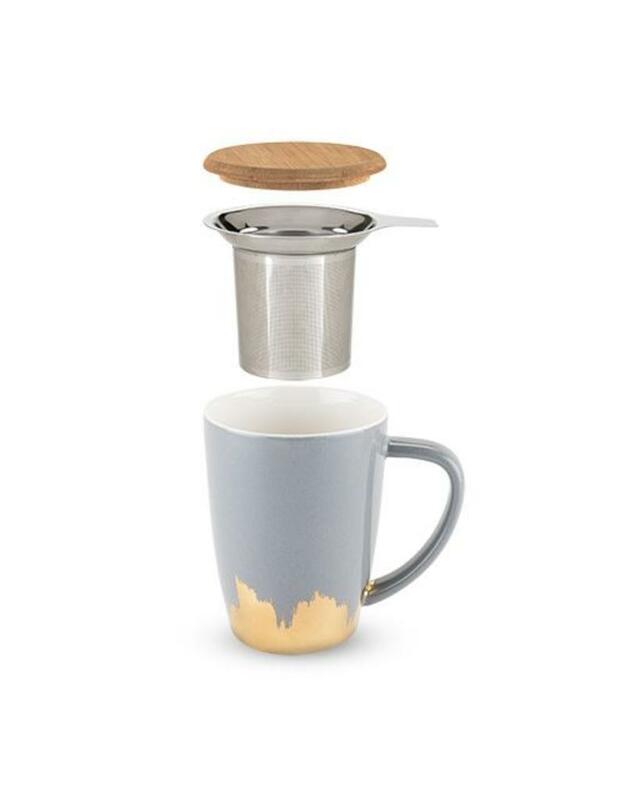 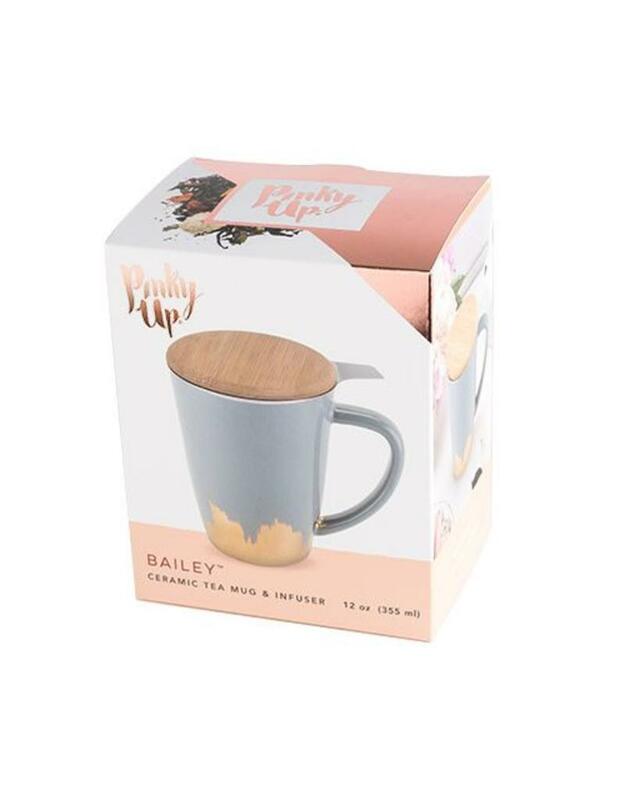 This ceramic mug includes a stainless steel infuser basket that sits nicely inside and a bamboo wooden cover. 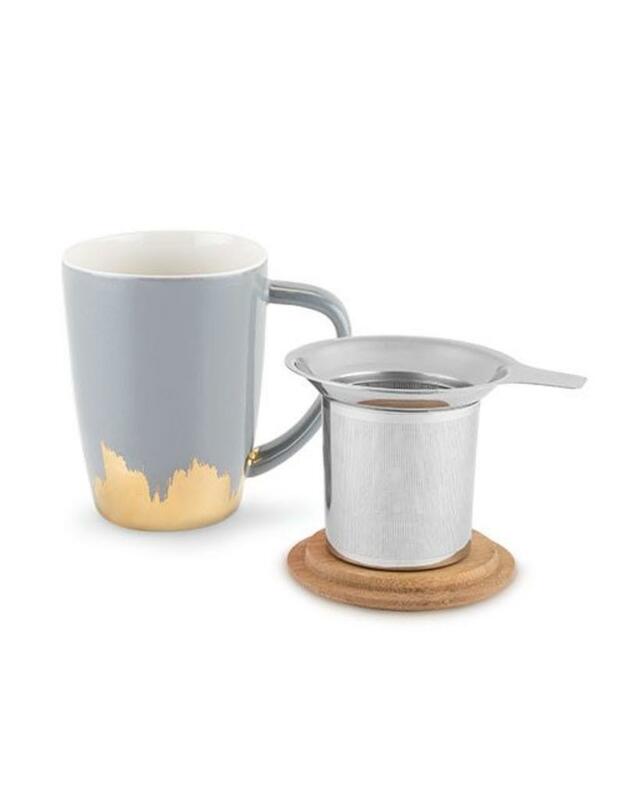 Perfect for brewing on the go!